Only five months after the Cleveland Cavaliers found themselves pitted against the Golden State Warriors in the NBA Finals, the team is now facing a completely different fate for the 2018–19 season. The NBA great and social activist responded to questions via email in advance of his talk on Nov. 5 at the Palestra. Maybe I’m just a salty Patriots fan. But I’ve been looking at the NFC, and I came to a realization: only six teams can be in the top six. 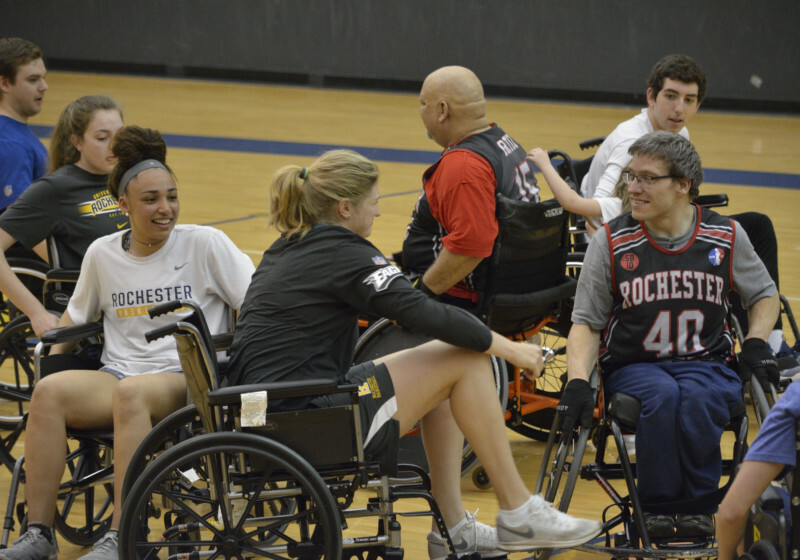 The men’s and women’s basketball teams played a scrimmage against the Rochester Wheels, a professional wheelchair basketball team, last Wednesday. The ‘Jackets won 73–71, though they received lots of help to stay in the game. Thursday night in Arlington, Texas, many NFL teams began a draft they were hoping would reshape their franchise. The scouts called this draft class one of the best and deepest in recent years. All eyes were on the Cleveland Browns with the first pick and the most needs of any team. These are questions I try to answer every week. I’ve thought a lot about why I’ve become so fascinated with the crossroads of sports, feminism, and society. I’ve thought about how this is a movement not just for me, but for all of you, too.